Audience data for UK radio stations for the first quarter 2012 was published while I was travelling. This quarter includes the nine days during which BBC Radio 3’s much-hyped Schubert Experience was broadcast, but the BBC-centric UK media and blogs that did the hyping and hyping still failed to report that the data records a distinctly bad experience. In Q1 2012 the audience for Radio 3 fell to 1.902 million listeners, a drop of 15.8% from the same quarter the previous year. Hours per listener did increase, but total listening hours (audience x hours per listener) – the key measure of a radio station’s health – plummeted by 13.6%. Writing on the Radio 3 blog network controller Roger Wright, who has implemented an unprecedented series of audience chasing initiatives including a classical chart, disingenuously declares that "audience figures are only one measure of our success". Radio 3’s dismal Q1 performance follows an established trend that is the result of two fundamental strategic errors by its network controller. First, Wright has relentlessly pursued his predecessor Nicholas Kenyons’ policy of chasing the commercial station Classic FM downmarket – a futile strategy as the commercial station already has that base very well covered. Secondly, Wright has failed to grasp that the mass market bandwagon he is trying to hitch Radio 3 to is fast losing momentum. As has been pointed out here before, the combined audience of Radio 3 and Classic FM is in sharp decline. This trend is confirmed in Q1 2012 when the commercial station’s audience fell by 10.5%, meaning that in one year the two classical stations have lost an astonishing total of one million listeners. These two strategic errors mean that BBC Radio 3 is now locked in a futile fight to the death over a fast declining market segment. As a result the nascent ‘dumbing-up’ opportunity is being ignored by the legacy broadcasters, but is well served by new web based media led by internet radio - which explains, at least in part, that haemorrhage of a million listeners. The mass market fallacy is confirmed by the performance of BBC 6 Music; this digital only station, which specialises in "the cutting edge music of today and the iconic and groundbreaking music of the past" returned an audience increase of 11.5% in the same period that Radio 3 lost 15.8%. BBC 6 Music now has an audience only 23% smaller than Radio 3, despite having no FM frequency. When Radio 3 has returned poor listening figures in the past the official BBC reaction, via their press office, has been to use semantic dexterity to turn bad news into good news. But seasoned BBC watchers have noted that, in contrast to the network controller's airy dismissal of his station's appalling performance, the latest BBC media centre statement tersely spells out that Radio 3 is a bust. It seems the senior BBC management is finally running out of patience with Roger Wright’s flawed strategy, so there may be hope yet. Great article. They really need to 'dumb-up' radio 3. They lost me when they started playing excerpts of sonatas every morning. As it may be a help for some readers, may I mention again the site 'Classical Live Online Radio'. It's free site that offers simple links to about 160 classical music stations in three geographic categories: Europe, USA, and Rest of the World. You can listen with or without itunes. Between that and the Naxos Music Library -- now with almost 70 000 CDs on over 400 labels, including of late the complete HMV catalogue -- it's been some years since I've given a thought to tuning into Radio 3, et al. Exploring those radio stations is interesting, not to say rather fun, pen in hand to note the best. Many are exemplary in variety of repertoire and in presentation. I would just like to express my hatred of those weeks when the BBC works through the complete works of some composer, to the exclusion of any other music. Even if you like Wagner, who would want to listen to nothing but Wagner for a week?. Ditto Bach, Stravinsky, Tschaikovsky etc. 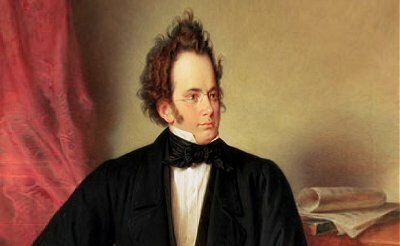 The Schubert experience, however, was by far the worst mainly because I cannot stand Schubert's music and especially those tinkly, everlasting songs that are supposed to be so great. For the period of these "experiences", the station essentially gives up its responsibility to build programmes.